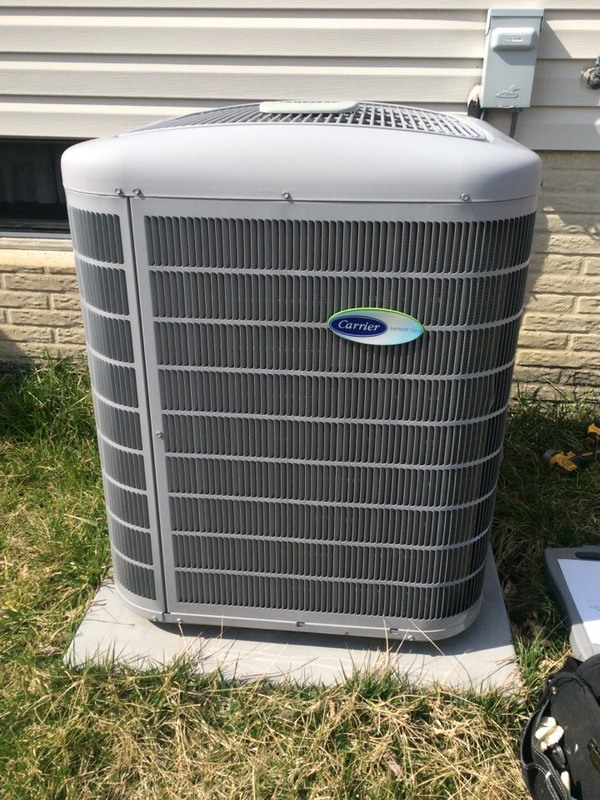 Supreme Air provides Air Conditioning, Heating and Plumbing Services, Repair, Installation, Maintenance, and Tune Up in Elkridge, MD and surrounding areas. Awesome service and a pleasure to work with. Very polite and extremely respectful of my house. Had regular semi-annual maintenance done. Was quick and technician was pleasant. No problems. Supreme Air provided excellent service when my air conditioner stopped functioning properly. After receiving a diagnosis from another, well-known company that my AC was leaking refrigerant and needed to be replaced, I called Supreme Air asking for a second quote on a new unit. They came out for a free estimate and told me that this company's assessment was wrong--my AC was NOT leaking refrigerant and did NOT need to be replaced. A technician was sent out for a more extensive assessment and quickly determined the real problem of a broken TXV meter. The part was ordered and another technician came out to replace it. All three people I encountered with Supreme Air were knowledgeable, helpful and trustworthy. I am so grateful to them for quickly identifying the issue with my AC system, saving me thousands of dollars. I would highly recommend Supreme Air to anyone looking for an honest assessment of their HVAC needs. Spring pm on 03/15/19 On arrival set unit to call for cooling measured supply and return air temp measured voltage and amps inspected electrical connections checked drain and cleaned checked filter cleaned checked condenser unit checked electrical connections checked voltage and amps inspected electrical connections checked capacitor tested unit operating normal at this time. 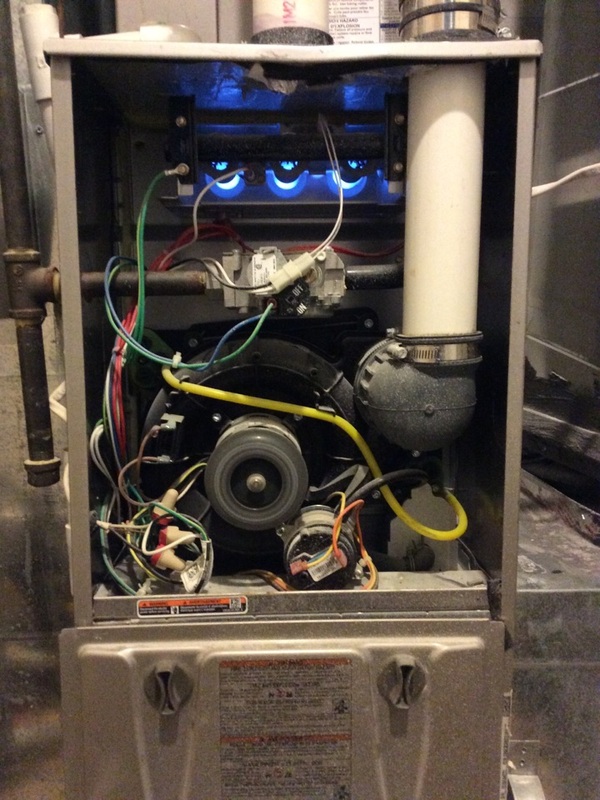 Service call on arrival replaced the pressure switch tested checked electrical connections checked voltage and amps measured supply and return air temp checked filter unit operating normal at this time. Service call on 02/23/19 On arrival set unit to call for heat inducer motor is running also the glow is glowing but the furnace is not operating normal checked electrical connections checked voltage and amps checked the gas valve checked pressure switch I found one of the pressure switch stack open customer told me she call someone to fix it for her but he didnâ€™t put right pressure switch I gave quote for customer accepted order the right pressure switch we have to come back to finish the job. Office collected the payment $99 trip fee also $433 for pressure switch unit turn off until pressure switch replaced. Refrigerant leak outdoors on the bottom suction lineset at the flare fitting. It is the same place that I had found a leak and tightened last year. I called the service manager and was advised to cut back and remake the flare fitting. I did this and pressurized the system to 200 psi with dry nitrogen and let it hold for 10 minuets as I sprayed soap bubbles on the remade joint. No bubbles and the pressure held steady. I then flushed lineset with the nitrogen and pulled into a deep vacuum and charged the system with 6 lb 6 oz of r410a refrigerant. The factory charge is 6 lb 3 oz but I add3d 3 oz for a few extra feet of lineset length. After charging the system I went indoors and verified that all three head units were heating as designed. Unit operating normal with no refrigerant leaks. Service manager informed me that the unit is still under 2 year labor warranty. On arrival tried to replace circuit board but the new one is wrong .need to order an other board .also noticed water leaking of the exhaust pipe .need to replaced exhaust pipe holder too . 2-16-19 : on arrival cut bad pipe and installed new pipes and fittings. I then replaced circuit board but displayed the same fault.i then increased fan speed and open damper that customer had it half way shut .checked temp rise 57 .unit operating normal at this time . On arrival tried to replace circuit board but the new one is wrong .need to order an other board .also noticed water leaking of the exhaust pipe .need to replaced exhaust pipe holder too . The problem is unusual and I thought it was the thermostat at first. I called tech support and Alex and the control board has an internal fault. I witnessed it several times cease furnace operation, the thermostat goes blank. On arrival found system operating normal ,found bad electric heater .also found evaporator fins were mashed .indoor unit is operating on heat pump only .system is not operating normal . I operated the unit on heating mode after setting gas manifold pressure to 3.5 iwc. Customer had just replaced the filter. The unit is operating normal but the temperature rise is low. There is nothing I can do to improve the heat rise, the furnace capacity is slightly undersized. All electrical systems and wiring are within specification. The unit is operating normal. Fall pm on 01/07/19 On arrival set unit to call for heat measured supply and return air temp measured voltage and amps inspected electrical connections checked drain and cleaned checked filter unit operating normal at this time. Once we got here we found that the unit was short cycling, found bad flame sensor. Customer paid for the parts to be replace and also the unit is not operating normal. The unit could have more problems after it gets fix due to the age of the unit. 12-31-18 Once we arrived we removed the defective flame sensor, then we installed the new one. We also inspected the system and it is operating properly. Once we got here we found that the unit was short cycling, found bad flame sensor. Customer paid for the parts to be replace and also the unit is not operating normal. The unit could have more problems after it gets fix due to the age of the unit. I set gas pressure to 3.5 iwc and reconfigured the blower speeds to increase the temperature rise and allow the unit to cool better in ac mode. I checked the electrical wiring and electrical systems, all are within specification. Heat pump had normal temperature rise without the auxiliary heat strips running. I did test them to make sure they work. I cycled defrost at the outdoor unit and checked operating pressures. Both units are operating normal. I recommend adding a hard start kit to both units, but especially the heat pump. I explained itâ€™s operation and benefits to the customer. I prepared an estimate for the installation of 1 hard start kit.